For literal decades now, my all time most detested Doctor Who companion was Adric. A seemingly wholly extraneous addition to the late period Tom Baker crew, Adric was a minor character introduced at the very dawn of the John Nathan Turner productorial praetorship as part of a three serial sendoff for the Lalla Ward iteration of Romana (and in the process, the much beloved but oft contested K-9). Coming amidst a period of extreme flux, Adric was part and parcel of a new and not entirely welcome experimentation with established formulae. Leaving behind both the comedic touches of the Troughton, Graham Williams and Douglas Adams eras and the adventure and gothicism of the Barry Letts, Philip Hinchcliffe and early Williams runs, Turner espoused a desire to move the series for the first time into a proper hard-SF milieu…and then quickly turned around and abandoned that game plan for a long run of “iconic” silly uniforms and increasing reliance on stunt casting and a pantomime feel. During this lone transitory season, Turner oversaw the departures of not only Ward and John Leeson’s robot dog, but an obviously ill and out of sorts Tom Baker himself. The immediate successor Keeper of Traken introduced the third (and still most obviously and affectedly fey) iteration of The Master and future companion Nyssa, and its own sequel Logopolis saw off Baker while simultaneously introducing Tegan and effectively re-introducing Adric (who’d been conspicuously absent during the Traken adventure). What would follow was the infamous “Full Tardis” motif that would mark the entire Davison period (itself undergoing a few variations in personnel along the way, though the crowded house paradigm would be retained unchanged till the introduction of Colin Baker). And kicking off this whole, rather sudden and chaotic reshuffle of cast members was the aforementioned 3 story trip into the antimatter universe of “E-Space”, from which a certain youthful mathematician hails. Featuring a somewhat bastardized take on a story called The Witch Lords which had been kicking around since the first appearance of Leela and an interestingly stylized, somewhat forward thinking (if budget necessitated) use of white light empty sets in the final installment, the subsequently named “E-Space trilogy” revolved around the arrival of the Tardis crew in an antimatter pocket universe and the swamp planet Alzarius. While technically not the same locale as the medieval world beset by ancient vampires immediately following, its civilization retains a similar, rather grubby feel further akin to that of the earlier Power of Kroll, with the particulars of the story’s mystery somewhat lost amidst the general driness and mundanity of the proceedings. The Leisure Hive aside, Full Circle remains our least favorite serial of a fairly questionable period. And from this story, we get Adric, a brash, fairly unlikeable youth marked by an unpleasant admixture of ostensible genius and bristly arrogance. Going as far beyond teenage moodiness and know-it-all-ism as Tegan would soon bring to even the most unpleasant of traveling companions to date (or it should be noted, since, with the possible exception of Donna Noble), Adric seemed a pointless addition to the crew. Why such a young companion? Was Turner trying to appeal to a children’s market? Research shows that even youth “identifies up”, with teens following shows featuring college students, and tweens following teen-oriented shows…with Adric arguably in his early teens, was there a real need to appeal to, say, 8 year olds not already enamored of the Doctor, his robot pet K-9 and a regular run of monsters? Certainly there was no appeal for more mature audiences to such a young addition – much less so, given his rather pronounced obnoxiousness. To be blunt, most of us fell along a scale of what degree he drove us to want to smack him every time he got sassy…which was quite regular, mind! So when Big Finish made the announcement last year that they’d finally secured the participation of Matthew Waterhouse to reprise the role of Adric, the news was met with something of a smirk. Having been through the company’s “rehabilitations” of one unfairly maligned Doctor and companion after another over the years, it wasn’t exactly a groan of disbelief…after all, they’d recently managed to make Tegan understandable if not sympathetic, and both Mel and Turlough among the best of audio companions. The question was more this: can they possibly work their magic one more time? Could Big Finish even make Adric likeable? I don’t think regular readers of Third Eye will be surprised to hear the answer. First up is Jonathan Morris’ Psychodrome. There’s the usual bit of Who-style SF meets fantasy/horror window dressing, but it’s really just a setup, in two senses. In one sense, this is all in the characters’ heads, with the particulars deriving from previous experience and those earlier episodes of the teleseries in which each of the characters involved played a part…somewhat more limited of a playing field than it may at first seem, given that this all takes place immediately after the events of Castrovalva! But more importantly, the story proper, the “adventure” aspects, if you will, are little more than a feint. This one’s all about establishing diagrammatic relationships between the characters – a bit of backstory, a bit of psychology, a bit of humanization that fills in the gaps and cracks of the initial run (and gets things moving at a far earlier stage than they might have in the televised chronology). And with a plot this ephemeral, that’s all there is to say about this one and the only real purpose for this story to exist. 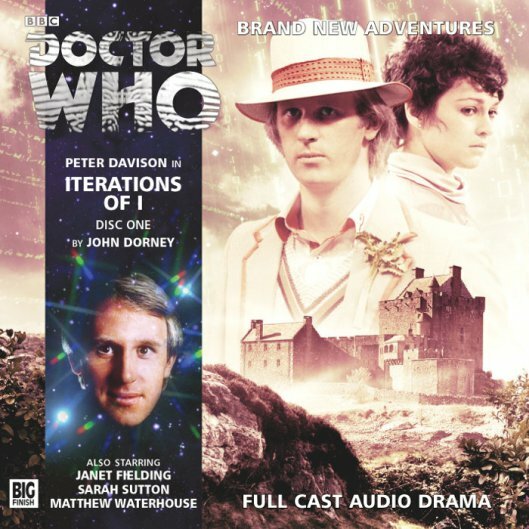 Far more substantial and of accordingly greater interest is John Dorney’s Iterations of I.
Ahh, now this is more like it. The author openly admits to the influence of Arthur C. Clarke’s chilling short story “the Nine Billion Names of God”, but further taps directly into earlier Big Finish favorites such as the Colin Baker/Peri …Ish and Davison/Nyssa’s Demons of Red Lodge offering “The Entropy Composition”, as well as such hoary if well regarded BBC offerings as 1972’s The Stone Tape for inspiration. With conceptual speculations firing on all cylinders, Dorney works the most thought provoking areas of mathematics and theoretical physics into a highly atmospheric science fiction-horror milieu worthy of the Hinchcliffe era gothics. While both stories of the Fifth Doctor Box Set understandably center around the triumphant return of Waterhouse’s Adric to the fray with the Doctor and Tegan sharing much of the limelight and Nyssa pulling up a more quiet rear, here even the guest cast proves more than usually notable, particularly Andrew Macklin as the wry Constable Robert DeValley, Sinead Keenan as nasty piece of work Aoife and Allison McKenzie as the unfortunate researcher Imogen. With a windswept, rainy coastal setting much reminiscent of the Kieron Moore vehicle Dr. Blood’s Coffin, Dorney works in all the elements of an eerie horror effort – a “haunted house”, a strangely absent cult and a shunned isle with all avenues of escape cut off – albeit seasoned with a more scientific-technical bent (all the computer equipment in this setting really hammers home the Stone Tape associations) and some fascinating implications from the limits of scientific knowledge to give them credence. Touching on the borders of conceptual thought where science and magick meet on equal ground, Iterations of I comfortably joins the ranks of the most fascinating, thought provoking, atmospheric and without reservation favorite of Big Finish Doctor Who audios of the past 15 years. To say this is a good one represents an absurd level of understatement. Top marks in all areas. While a fortysomething adult essaying the part of an adenoidal teenager seems somewhat bizarre if not impossible, Waterhouse does an admirable job. While hardly the uncanny time warping capabilities of Sophie Aldred’s wonderful ongoing performance as Ace (herself in her mid teens at the time of her televised run), Matthew pitches his voice especially (if artificially) high and (this part is crucial) brings a more measured, experiential take on the character than he (or, let’s be honest, any of us) could possibly have been capable of at the age he was at the time. For those of you whose hackles raised every time Adric showed up onscreen, who bristled with distaste if not profound irritation with every line delivery…it’s gone. 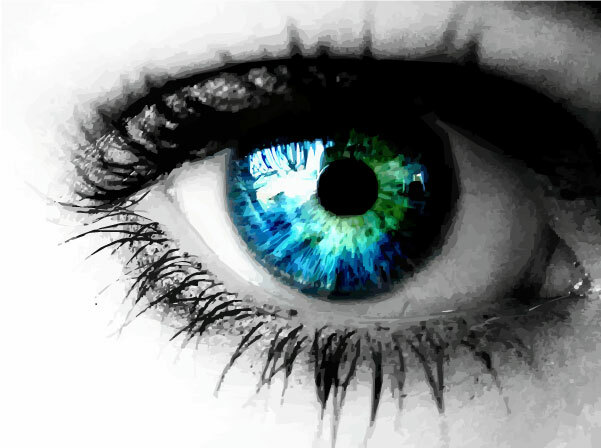 Finally, the listener can begin to appreciate the nuances of the character – the uncertainty underlying the boldness, the confusion and vulnerability that both mark and drive the supercilliousness. It’s an understated performance, despite the overstated pitch of the voice…and not an incredible stretch to credit it as a brilliant one, in its way. Now I know there’s no hope. Because I finally think I “get” Adric. I shake my head in disbelief and give due credit to the authors and of course Waterhouse himself for yet another profound makeover and rehabilitation of a long-detested character, who now appears before us at last…as human. Personally? I can’t wait for the next one. I always felt that Adric suffered from being a transitional companion – presumably picked to ensure a youthful element if they cast an older actor as the Doctor. 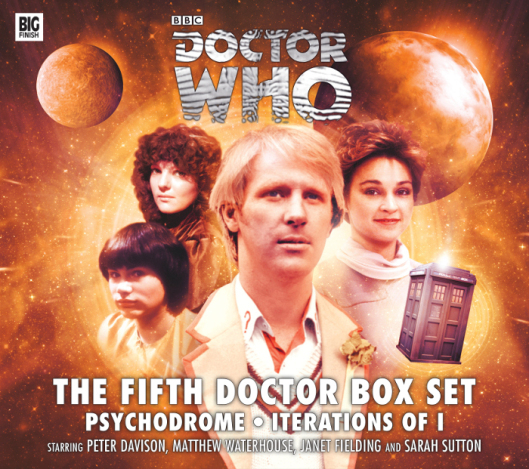 I rather liked his interactions with the Fourth Doctor and appreciated that Psychodrome uses his experience as an important character note for the play. It is nice to hear him being the comfortable one in the group. I agree about Waterhouse’s performance – I would say it’s probably the best he has given in the role, largely because it comes over as thoughtful and sincere. I really hope we get a brace of new adventures with his Adric soon, hopefully with the Fourth Doctor, because I was amazed at how fresh the character felt.